We are currently witnessing a time of tension across different parts of the globe between alliances of various nations and war going on in certain regions of the world. Violence and hatred have certainly found their way into today’s society, be it on any side. Hacksaw Ridge is a war movie which deals with violence highlighting a completely different perspective. This is the story of a man who is as much as a devout Christian as he is a patriot. Hacksaw Ridge is a WWII movie portraying the story of Desmond Doss, an Army medic who refused to carry a weapon through the hell fire of battle in Okinawa at the height of World War II. Desmond Doss later went on to save the lives of 75 wounded infantrymen and became the first and only conscientious objector to receive the Medal of Honor for actions above and beyond the call of duty during the war. Hacksaw Ridge is a beautifully acted and viciously portrayed war film that will stick with you from the minute the film starts until the second the end credits start. 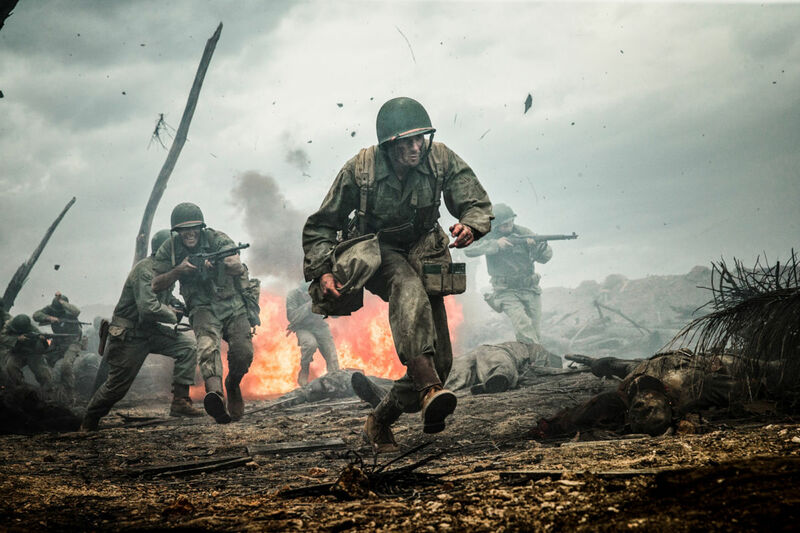 Hacksaw Ridge features series of emotional events and successfully brings out the same emotions for its audience. Being a Mel Gibson movie it contains strong graphics which go along well with the genre of this movie. Director Mel Gibson has masterfully depicted the visuals of war and its horrors. War scenes are gory and use of makeup along with visual effects is brilliant as well. 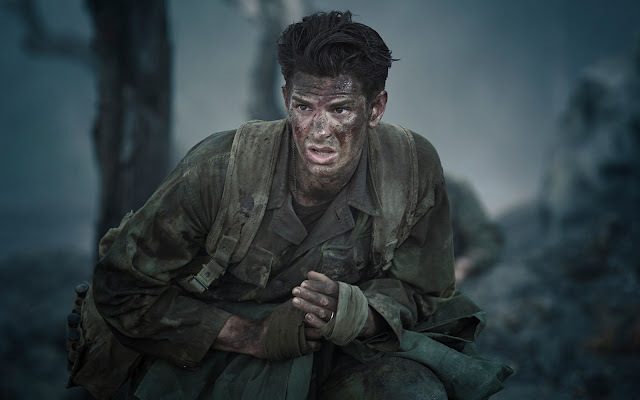 This movie stars Andrew Garfield in the lead role as Desmond Doss and a long supporting cast. Last movie Garfield did was 99 Homes and he beautifully portrayed his character in a simple yet striking movie. Starring in 99 Homes and now in Hacksaw Ridge and then moving to Martin Scorsese’s Silence is a transition in Garfield’s career that will only work for his benefit and consideration as a more serious and talented actor. Hugo Weaving has portrayed the father’s character efficiently bringing out all the necessary emotions that are required to go along with his character. Rest of the supporting cast also does justice with their roles. Shooting a war movie is not an easy task and hence cinematography of this movie is worth applauding. It is very impactful, most importantly the atmosphere that the film sets up for the war scenes is truly indulging. Gibson has tried to keep this movie as realistic as he can; there are scenes in which men are immediately gunned down to death on raising their heads that show us the true nature of war and the idea of how easily a life could be taken. Some dialogues are also very well written, smart enough to strengthen the motive of the story. “In peace sons bury their fathers. In wars fathers bury their sons” might be just a single line and it is a really strong one telling us the nature of war and the pain that it brings with it. The best thing about this movie is that it successfully brings out the narrative through various small elements. 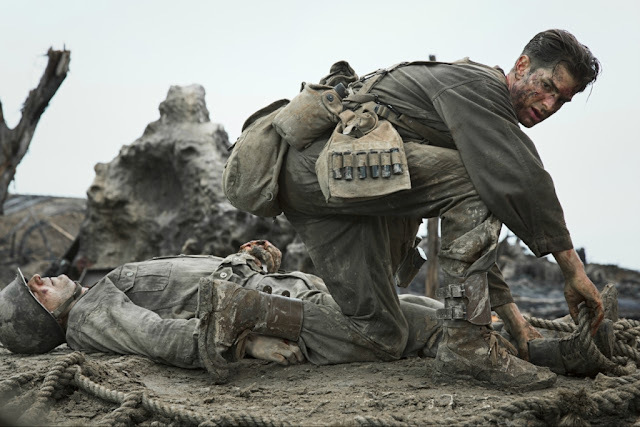 Hacksaw Ridge was chosen by the American Film Institute and National Board of Review as one of the top ten films of 2016. With Academy shockingly moving Moonlight and Loving from category of Original Screenplay to Adapted, chances for Hacksaw Ridge to land a nomination in this category are more or less impossible. Although this movie has very good chances to gain some other nominations at the Oscars. In 2016 and 2015, Academy nominated a total of 8 movies for Best Picture and in 2014, 2013, 2012, Academy nominated 9 movies. So following that tradition Hacksaw Ridge is in a very strong position to land a Best Picture nod at Oscars. Andrew Garfield is certainly a lock in for his first Best Actor nomination. 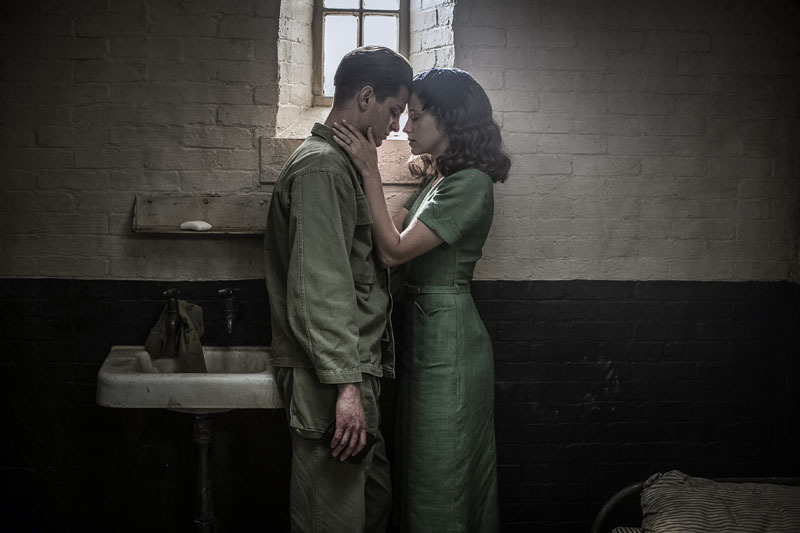 Hacksaw Ridge also hold strong chances for Best Makeup and Hairstyling, Best Editing, Best Sound Mixing, Best Sound Editing nominations at the 89th Academy Awards. Hacksaw Ridge is an effective war drama which is different from other war movies and in a positive way. This movie deserves your attention and your time so be sure to not miss it.